Chit chat a bit.. 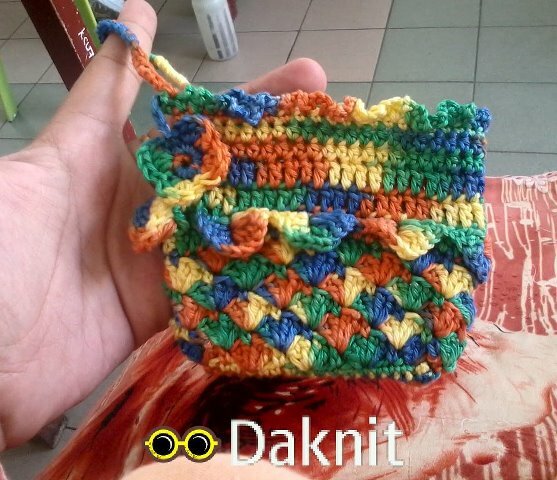 Lately I'm into crochet.. :D New Cell Phone Pouch! Alhamdulillah.. our shop is growing well too, cok sukur ya rabb, and thank you so much again for all the support given by my husband and family. I hope and pray that everyone will achieve the success that they dream of! insyaAllah. Oh just came into my mind.. my colleagues was telling me about a Turkish Stall in Kota Kinabalu, selling Turkish Kebab, made by real Turk. Hahaha.. the cute thing is, they were very excited telling me about it and of course, I am very excited to hear too since it is not that easy to find any Turkish food here in Sabah 🙂 But yet, my husband did not shows any interest at all @_@ But still I am planning to visit it during the holiday and hopefully, the taste of the kebab is as same as the one I ate in Bursa, Turkey. InsyaAllah, if got the chance to eat one! 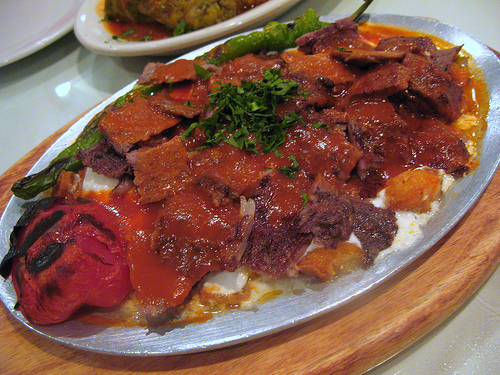 However, I am being very grateful to Allah because I heard that Turkish Man is very loyal to their food and very choosy when eating. But alhamdulillah.. I have no problem serving him Malaysian food xD but still need to learn slowly.. so anyone knows where I can find easy Turkish recipe to cook at home? I am not sure if Sabah selling any turkish ingredients but i am sure it can be replaced with something similar. Using 3.00mm hook and cotton yarn, the colour effect turns out very sweet 😀 This took only few hours to finish. But I had to complete it in two days. Oh today is Jumaat 😀 Happy Jumaat semua.. may Allah swt bless us all. 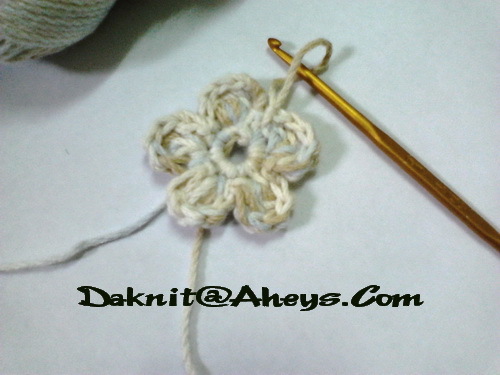 Please do visit our online shop at www.daknit.com for yarns and tools. InsyaAllah, we are growing slowly and may Allah helps us with this small business. Amin amin amin ya rabbal’alamin. 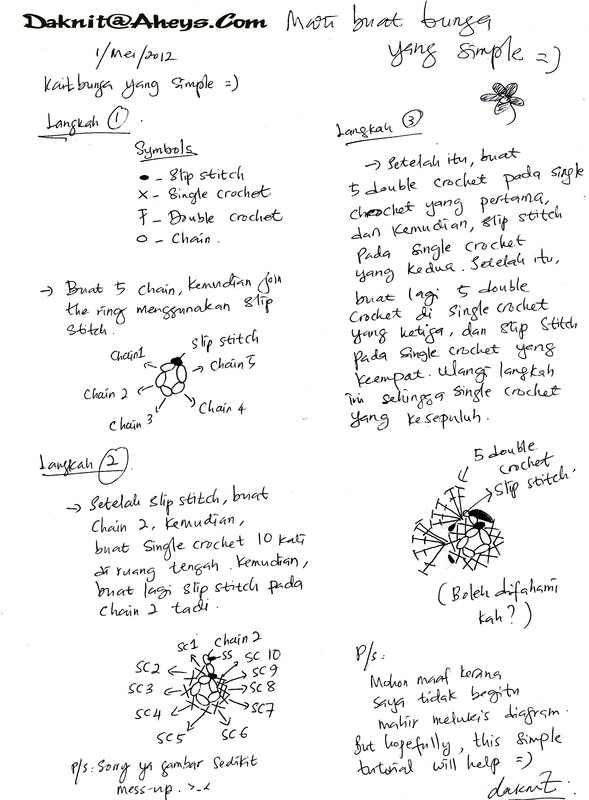 alhamdulillah.. sempat juga buat tutorial yang ringakas ini. Di bawah adalah tutorial untuk bunga di atas menggunakan tulisan tangan saya. Di harap mudah difahami 🙂 mana yang tak faham, jangan2 segan untuk tanya saya ya. InsyaAllah saya cuba bantu jelaskan lagi. Boleh download ataupun save image as untuk muat turun ke pc anda!